The holidays are the perfect time to show your appreciation, but I have a few caveats… First off, teachers are notoriously underpaid so I always contribute to a class cash pool at the holidays and again at the end of the school year that is used to buy America Express Gift Cards, and when I was a co-class parent I helped organize them. It may sound crass, but it’s very appreciated, trust me. Second, but on a related note, your PTA or DOE probably has an official policy or guidelines around class gifts to teachers and staff. Follow them and don’t pressure families to give outside their means. Our note requesting contributions said something about giving what you can afford and regardless of contribution or participation, every family name will be on the card to the teacher. Finally, sometimes I like to give a personal gift too (my child usually gives the actual gift) as a way to say Happy Holidays and Thank You. Here are some ideas for those personal gifts. 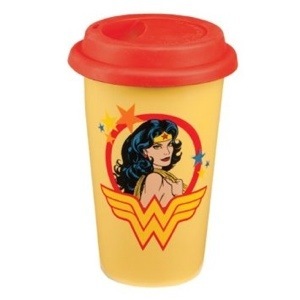 Coffee: No one deserves a morning jolt more than a teacher. 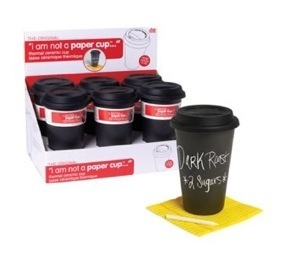 A commuter mug is works whether your recipient does their sipping on the go or nurses a cup (or three) all day long. 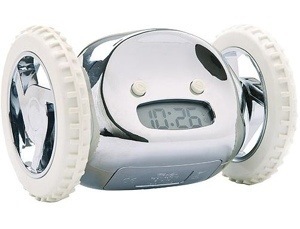 Additionally it’s more friendly to the environment than paper and shows some sass and personality. 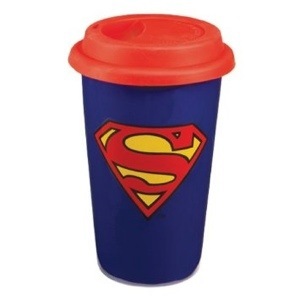 Teachers are unsung heroes, so these mugs are an homage to the wondrous and super amazing things they do. 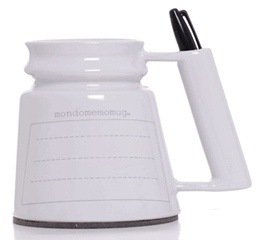 I loved how utilitarian this mug was, letting your recipient write to-dos, reminders or homework notes. 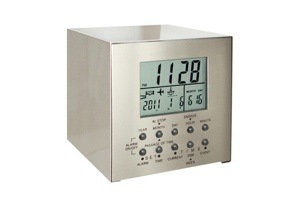 Clocks and Alarm: As a precursor to coffee, teachers need to wake up in the morning–usually at some ungodly hour. these alarms will help your favorite educator wake up prepared. 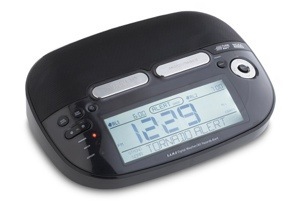 For the Hard to Wake: Help your recipient with the alarm that people love to hate. Stationery: Even as we become more and more reliant on digital communication, my kids’ teachers will still sometimes use paper to send notes and I return them in kind… And I love that. Deisgn-Her-Gals: Create a sweetly illustrated avatar and then personalize stationery and other paper goods. Minted: Find amazing new designs from all over the world (or add your own works to the collective). They source designs through regular competitions, and you can vote. Paper Style: Note cards, pads and stationery–personalize, monogram or just pick out a pretty design. Food: A delicious treat is always a nice gesture and if you’re making them at home with the kids, they feel extra special when giving them to their teacher. 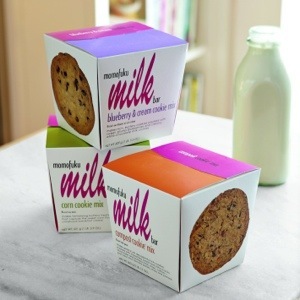 I enjoy making cookies at the holidays–the standard chocolate chip, especially–but my favorite cookie to make are the Momofuku Milk Bar cookies made from this special mix ($16.95, Williams Sonoma). 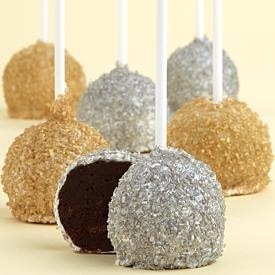 NOTE: For a food enthusiast, the mix itself makes a great gift as does the aforementioned Cake Pop Kit.